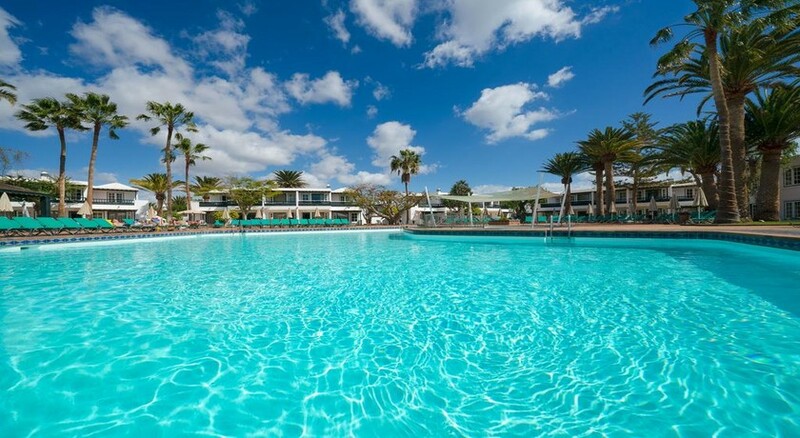 At the centre of the Puerto del Carmen, lies the beautiful resort of Barcarola Club, a three-key rated hotel complex, featuring well-kept gardens, large swimming pools and beautifully decorated rooms. The location is ideal for a quiet and peaceful holiday, be it a family vacation or a break with friends. The hotel consists of 83 apartments, 18 of which are two-bedroom ones, making them ideal for large families with kids. The neighbourhood of the hotel is known for its beautiful natural surroundings and places of interest. The hotel is also known for its impeccable services, many of which are free of charge. The gastronomic needs of the guests are taken care of by the buffet restaurant and pool bar. The hotel’s location is ideal for shopping, water sports and lounging. There are souvenir shops and shopping centres for some retail therapy. Further, there are plenty of water sports available in the beach nearby, from wind surfing to diving. The hotel is also a sustainable property and uses geothermal energy to heat the pool water and other purposes. 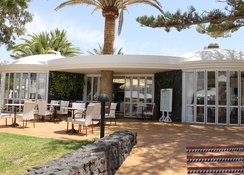 In short, Barcarola Club is the ideal vacation resort in Lanzarote, especially if you are looking for a hotel that caters to large families. 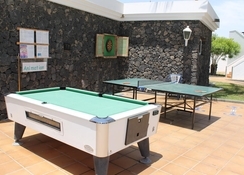 Barcarola Club is located in Lanzarote near the resort town of Puerto del Carmen. The Lanzarote airport is situated at a distance of around 8 km from the airport, while Puerto del Carmen is around 4.3 km. The capital city, Arrecife, is 12 km from the hotel. The nearest marina is just 4 km. The hotel has a total of 83 apartments, of which 18 have two bedrooms. Additionally, they come with a living room, a kitchenette, a balcony or a terrace with views of the gardens of the pool. The rooms feature telephone connection, electronic safe, satellite TV, hair dryer, air conditioning and heating. Barcarola Club has a buffet restaurant that provide a variety of breakfast options. 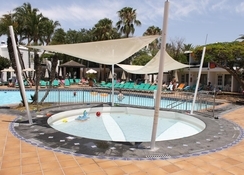 There is also a pool bar called Bar Piscina, which serves a range of tasty dishes on offer during the day. It provides you with the perfect opportunity to relax by the poolside and enjoy your favourite drinks and snacks. When it comes to recreational activities, you will be spoilt for choices. 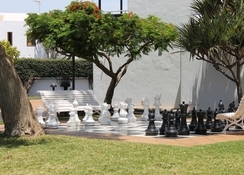 The complex has arrangements for playing billiards, table football, boules, giant chess and many such indoor games. Young children can play in the hotel’s playground, especially dedicated to them. 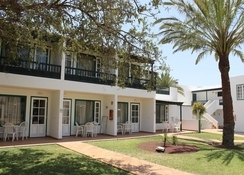 The hotel’s gardens and the swimming pool provide the perfect opportunity to relax by the day. At night, one can venture outside for an evening of unadulterated fun. The nearby town of Puerto del Carmen makes for a great day trip for families.